Today’s post will be a little bit off the radar in terms of traditional sports talk. Many sports fans are fans of video games, and particular, the fighting/soldier/role play games on the Xbox 360 and Playstation 3 (and soon the Xbox One and Playstation 4) consoles, particularly the Call of Duty franchise of games. 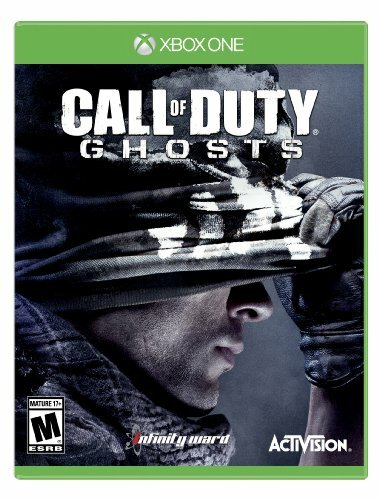 On November 5, many fans of sports teams around the country will go out late at night (or order at the DraftKingsMaster store, I know, cheap plug) and purchase the new Call of Duty Ghosts game on their favorite consoles. Fan Playground store – store.sportsfanplayground.com. But where is that connection with sports and quite possibly the most popular game in the world? The answer is simple, the idea of competition and teamwork. The great part about Call of Duty is that its a game where you have to depend on a team and other people that you don’t really know well to help you out in terms of completing a mission, which is exactly the same principle in terms of sports and being on a team that competes to win games and championships. Sports can captivate people of all ages, it teaches discipline, honor, sportsmanship and working as a unit to achieve greater level as a whole and as an individual. With the Call of Duty, particularly the new COD Ghosts, the game will require extensive confidence in your fellow players, it will take dedication, but unlike sports, there seems to be no ending so play while your heart is content. I will throw a disclaimer to the Call of Duty people: If you should lose massive hours of sleep, forget what a hot woman or man looks like and you look like a sheep dog after you have played for 17 days straight, you may want to put the game down and get help. Word of warning. Take care everyone! And remember if you are looking for the new DraftKingsMaster store – check out our link at SportsFanPlayground.com. Also, I have been mentioning the last few days, if you are interested in a domain name – fghq.net – please fill out our contact us form and we will be happy to speak about it.